Agilent Technologies and BioTek Instruments have created an integrated solution that combines cellular metabolic analysis and imaging technologies. The solution integrates the Agilent Seahorse XFe96/XFe24 Analyzers with the BioTek Cytation 1 Cell Imaging Multi-Mode Reader to create a standardized approach for comparing XF datasets. It improves assay workflow, embeds images into WAVE software, and applies normalization values to Seahorse XF measurements. With the Agilent Seahorse XF WAVE software researchers can toggle between XF data, brightfield images, and fluorescence images in a unified software experience. The Agilent Seahorse XFe Analyzers simultaneously measure the two-major cellular energy-producing pathways—mitochondrial respiration and glycolysis—in live cells, in real time. 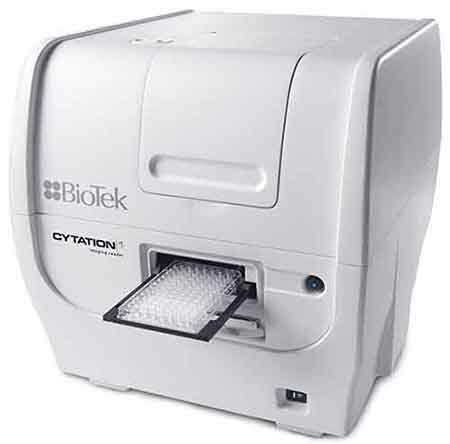 The BioTek Cytation 1 Cell Imaging Multi-Mode Reader is configurable for fluorescence and high contrast brightfield cellular imaging with up to 60x magnification.